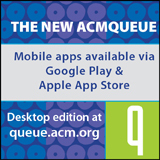 Welcome to the July 5, 2017 edition of ACM TechNews, providing timely information for IT professionals three times a week. 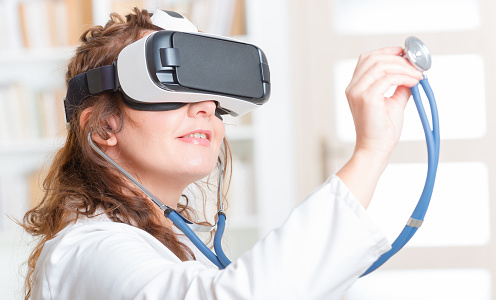 Researchers at the University of Oxford in the U.K. are combining virtual reality (VR) and genetic methods to identify the causes of diseases such as diabetes and anemia by exploring the three-dimensional structure of DNA. "We are dissecting...intricate [DNA] folding to understand which parts of our immense genome are interacting at any one time, helping us understand whether changes in this process can cause disease," says Oxford professor Jim Hughes. The team's CSynth software integrates data from genome sequencing, computer simulation, and high-powered microscopy. "With the CSynth software we can integrate data from different experiments into something more tangible to help researchers understand how DNA folds," says Oxford's Stephen Taylor. "In addition, using the virtual reality mode in CSynth is helping us visualize these complex 3D structures in a more intuitive way." Goldsmiths, University of London professor Frederic Fol Leymarie says CSynth enables the modeling of realistic molecular interactions for immersive exploration. Researchers at the University of Sydney in Australia are building Red Belly Blockchain, a blockchain solution designed to enable secure, near-instant cryptocurrency transactions across the world. The researchers say Red Belly is the first blockchain designed to function in both private and public contexts, supporting peer-to-peer and restricted digital transfers. Sydney's Vincent Gramoli says the latest tests showed Red Belly facilitated more than 440,000 transactions a second on 100 machines, versus about 56,000 transactions a second on the Visa network. Gramoli notes the product's development is partly motivated to avoid forking and other common problems with digital transactions, and it can accommodate hundreds of thousands of transactions a second coming from a potentially infinite number of clients. The Red Belly Blockchain project's next phase will focus on developing a recommendation system to automate the selection of participants of a consensus instance, which the university says should guarantee the security of the blockchain. Researchers at Linkoping University in Sweden have discovered a method to control spinning electrons by combining a commonly used semiconductor with a topological insulator, which could aid in the development of hybrid electronics or spintronics. The team used circularly polarized light to produce electrons with the same spin in a gallium arsenide (GaAs) semiconductor. The spin-polarized electrons were transferred from GaAs to the topological insulator bismuth telluride to enable a directional electric current on the surface--all without applying an outside electrical voltage. "We combine the superior optical properties of GaAs with the unique electrical properties of a topological insulator," says Linkoping professor Weimin Chen. "This has given us new ideas for designing opto-spintronic devices that can be used for efficient and robust information storage, exchange, processing, and read-out in future information technology." Linkoping professor Irina Buyanova says the research has exciting potential because GaAs is a well-known and popular semiconductor. An event next week in San Jose will officially mark the launch of the U.S. Defense Advanced Research Projects Agency's (DARPA) Electronics Resurgence Initiative (ERI). The ERI seeks to revitalize the U.S. electronics industry, with both the military and the technology sector being beneficiaries. DARPA says the program's goal is accelerating research that includes "the integration of novel materials and functional blocks, automation in design, and the reuse of large functional blocks and architectures." Both next week's event and an event in Silicon Valley the following week will solicit input from the broader tech community on finding new materials, architectures, and design processes for a post-Moore's-law era. DARPA and industry partners at both events will share ERI's outline and details of how to make proposals. The events also will serve as networking opportunities to find partners, while attendees will be able to pitch their proposals to DARPA program managers at the San Jose event. Researchers at the College of Charleston, Rutgers University, and Facebook's artificial intelligence (AI) laboratory have modified a generative adversarial network (GAN) to create an AI program that produces images in unconventional styles. 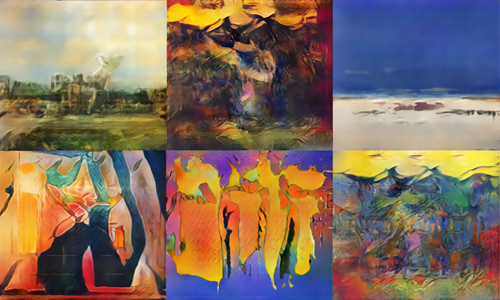 The new GAN uses two neural networks, each submitting solutions and judging the others in an endless loop until the desired result is reached. One of the networks creates images and the other, trained on 81,500 paintings, determines if those images would be classified as noteworthy works of art. The discriminator network also was trained to distinguish between different styles of art. The researchers trained the generator network to produce images the discriminator recognizes as art, but does not fall into any of the existing styles. After the AI produced a series of images, members of the public were asked to judge them beside paintings created by people. The researchers found the AI-produced paintings scored slightly higher than those humans created. Researchers at the University of Pennsylvania (Penn), Johns Hopkins University, and Goucher College have discovered a new topological material that may enable more stable and scalable quantum computing. The team says they subjected the material to thermal annealing, in which "the metal directly enters the nanostructure, providing good electrical contact and can be easily patterned into the nanostructure using standard lithography, allowing for easy scalability of custom superconducting circuits in a topological insulator." 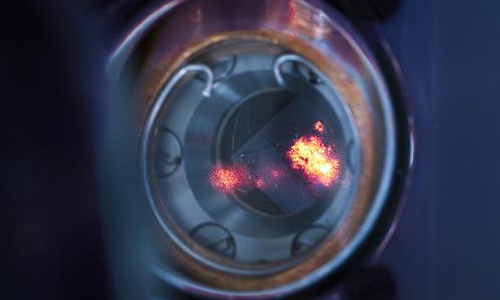 The researchers tested the material's superconductivity by exposing it to extremely low temperatures and a magnetic field. Penn professor Marija Drndic says of particular value in this method "is the combination of the electrical transport performance and the direct insights from the actual device materials characterization." The researchers say the device is potentially scalable, and they plan to build more advanced devices that aim to build a qubit out of existing systems, and vary metals to tune material properties. 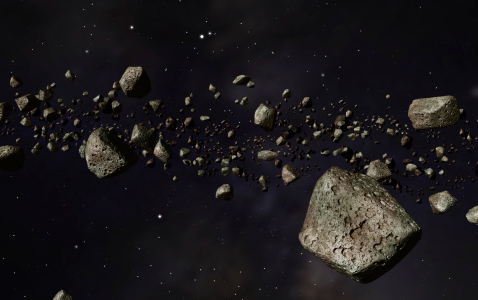 Researchers at the University of Washington (UW) are participating in a project to map and track asteroids in the solar system so collisions with Earth can be predicted and averted. The researchers are developing algorithms for mining massive datasets generated by an advanced telescope currently under construction, which UW's Andrew Connolly describes as "like playing connect-the-dots where all of the dots are sitting on top of one another, and you have to separate them out." As director of UW's Data Intensive Research in Astrophysics and Cosmology Center, Connolly will oversee the work of scientists and faculty--as well as amateur researchers--to apply data from the Chile-based Large Synoptic Survey Telescope to asteroid tracking. Connolly and UW professor Zeljko Ivezic see the Seattle region as a good fit for the project's data processing burden, with Connolly noting, "It mixes computing, new cutting-edge science, statistics, the engagement of the community, the understanding of the formation of our universe." Researchers at the Massachusetts Institute of Technology's Computer Science and Artificial Intelligence Laboratory will present an automated system for peering into the inner mechanisms of neural networks this month at the Computer Vision and Pattern Recognition conference (CVPR 2017) in Hawaii. The work builds on earlier research, with the new technique analyzing four network types trained to perform more than 20 computer-vision tasks. The previous research involved sending images to reviewers via Amazon's Mechanical Turk crowdsourcing service, while the new method employs a computing system. For each strong response from a high-level node in one of their networks, the researchers could track the firing patterns that led to it, identifying specific image pixels to which it was responding. Organizing the visual concepts in their database hierarchically enabled the researchers to measure the stress that networks trained to conduct different tasks placed on different visual properties. Researchers at the University of Washington in Seattle (UW) have developed a prototype cellphone that functions without a battery, drawing power from the surrounding environment. The researchers created the handset by developing a new technique called backscatter, which enables a device to communicate by reflecting incoming radio waves. The cellphone uses digital signals to dial numbers, while the backscatter process for voice calls is analog. To develop the phone commercially, the new circuitry could be built into a home Wi-Fi router or a traditional cell tower. "Real cell towers have a hundred times as much power, and would increase the range to perhaps a kilometer," says UW researcher Vamsi Talla. However, the system can only run on very low power. For example, the large touchscreens that are common on modern smartphones require about 400 milliwatts of power, more than 100,000 times as much power as the new device needs. Training robots to gain real-world experience via tactile feedback and trial and error is the goal of a team of Carnegie Mellon University (CMU) researchers. They have demonstrated the utility of a Baxter robot, which repeatedly interacts with objects on a tabletop--pushing, poking, grasping, and observing them--so it can accumulate knowledge to learn representations. The researchers note this process differs from the "supervised" learning protocol typical for many computer-vision systems, which relies on passive data labeling. "What we want is that you get active data as you interact with the objects," says CMU's Dhiraj Gandhi. "Through that data, we want to learn features that will be useful for other vision tasks." The system uses a three-dimensional camera and tactile sensors to collect information that is fed to a deep-neural network and cross-referenced against images in the ImageNet database, which boosts Baxter's identification accuracy by about 10 percent over robots trained solely with image data. Researchers at the University of California, Berkeley have found digital assistants such as Siri could one day learn the algorithms that humans have used for centuries to create and understand metaphorical language. The researchers mapped 1,100 years of metaphoric English language and detected patterns in how English speakers have added figurative word meanings to their vocabulary. The team says the findings provide the first large-scale evidence that the creation of new metaphorical word meanings is systematic, which may inform efforts to design natural-language processing systems to help them understand creativity in human language. "This work brings opportunities toward modeling metaphorical words at a broad scale, ultimately allowing the construction of artificial intelligence systems that are capable of creating and comprehending metaphorical language," says Berkeley professor Mahesh Srinivasan. During testing, the researchers found their models correctly predicted about 75 percent of recorded metaphorical language mappings over the past millennium. The 2017 Smart Cities Connect Conference & Expo last week in Austin, TX, brought together U.S. National Science Foundation (NSF)-funded researchers, technology leaders, and community stakeholders to facilitate innovative technologies and services for communities across the country. "Working together, our efforts can help to improve the functions of communities across the nation and, importantly, enhance individuals' quality of life," says NSF's Erwin Gianchandani. The expo featured more than 30 live demonstrations of advanced network applications that are impacting local communities through the U.S., many of which are part of the Smart Gigabit Communities project. In addition, the expo featured a project involving three-dimensional virtual reality being used to deepen students' knowledge of a particular subject by connecting them with educators. Another demonstration showed how the gigabit-speed network in Kansas City, MO, connects personal computers to enable supercomputing capabilities that power searches to accelerate cancer-focused research. Bellevue, WA, Microsoft, the University of Washington, and the Institute of Transportation Engineers are collaborating on the Video Analytics Towards Vision Zero project, which is working to eliminate collisions on roadways by training software to identify near-misses in intersections and understand the underlying road conditions. The program studies camera footage of vehicles, cyclists, pedestrians, and other road users in incremental clips to understand their behavior, gaining more skill at recognizing different roadway elements the more data it is fed. The researchers have publicly opened the initiative so the algorithm can be taught to distinguish between different elements via crowdsourcing. In about a month, 500 people have volunteered to annotate existing traffic footage, and thus far the algorithm accurately recognizes motor vehicles more than 95 percent of the time. Recognizing pedestrians is more difficult, and Bellevue transportation planner Franz Loewenherz wants multiple cities to access the tool to proactively correct problematic traffic corridors.